They are unique, not only in their size, but also in the kinds of beers they make. Take a look at their beer list on their website. First off, the number of different beers is staggering. But the unique thing to me is that almost every beer is a lager. Not your typical "everyday" lagers either. Oh no. They make beers with names like "Midnight Mocha Lager", "Chai Peach Cream Lager", "Limoncello Lager", "Berry Chili Lager", "Pineapple Fire Lager", and many more unusual sounding lager names. Its awesome, really. They obviously don't let the typical stereotype of what a lager "should" be restrict what they do with lagers. 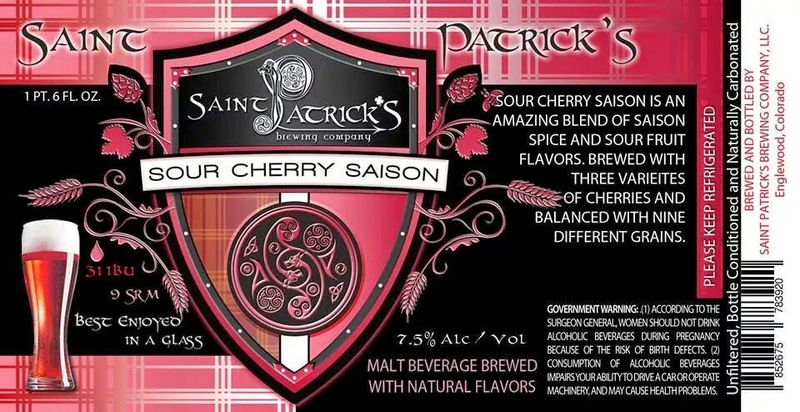 The reason I actually came in was to get a sample of their "Sour Cherry Saison". I had seen the label on their facebook page. At the time, it was only available at the brewery. I am told it should be in my local liquor store this week sometime. I'll be sure to pick up a bomber. It was a really good dry saison with a nice cherry flavor. Seemed like a nice refreshing summer drink. 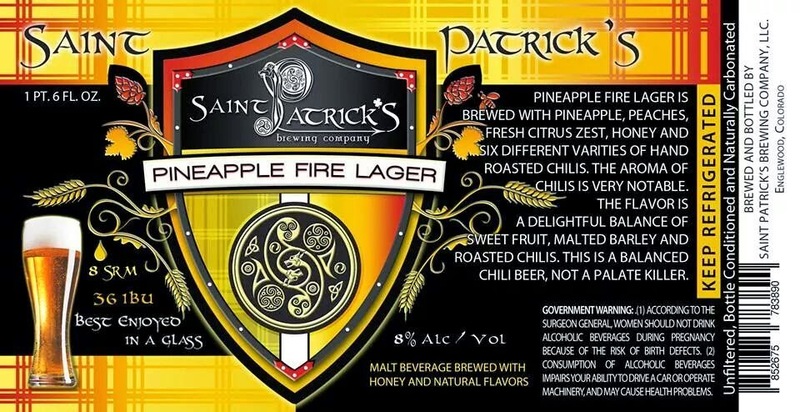 I also got to try their "Pineapple Fire Lager". It was very interesting. It is brewed with several types of hot-peppers, but there was actually very little heat. The pepper flavor was wonderful. I thought this was a great pepper beer. I also sampled quite a few other beers, each one wonderful. Upon leaving, I purchased a couple of bombers to bring home and share with the wife. True to the home-brew spirit, the server hand-labeled one of the bottles before he gave it to me. I picked up Colorado Golden Lager. 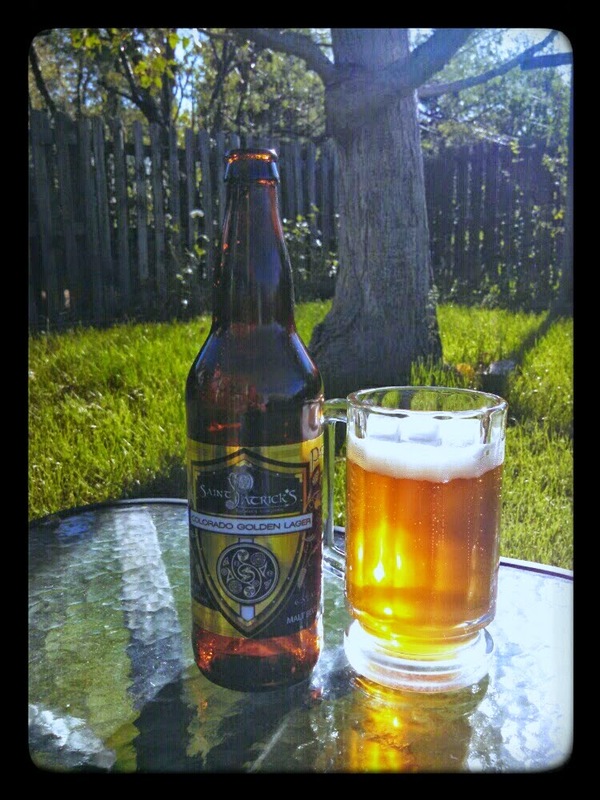 Colorado Golden Lager is inspired by the Saison, but brewed as a premium European lager. Balanced aroma, full mouthfeel, and lingering finish all highlight the complex malt, hop, citrus and light honey notes. "Cerevisia" means beer in Latin. This Old-World beer pours a deep copper color. Malty smooth from start to finish, and well balanced with American and Euro hop varieties. A cross between a Vienna-style Lager and a California Common. Both were great. 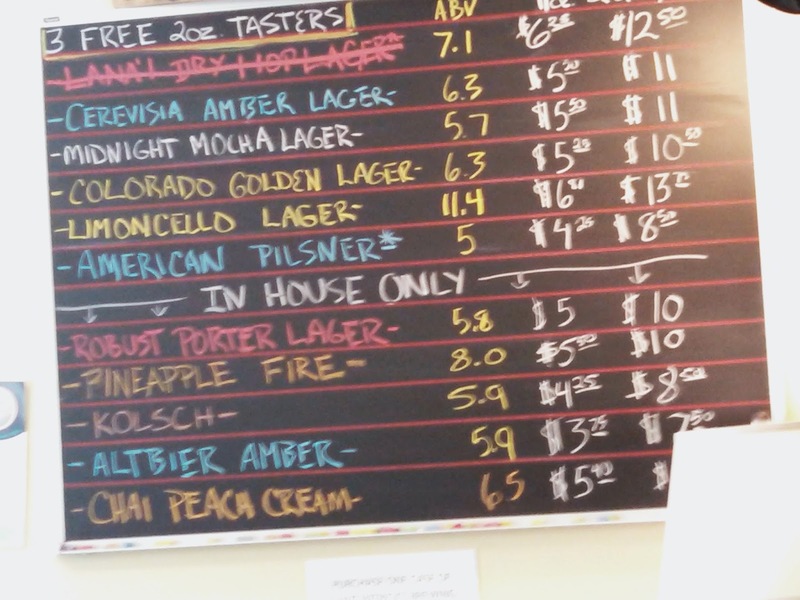 We especially enjoyed the Colorado Golden Lager. 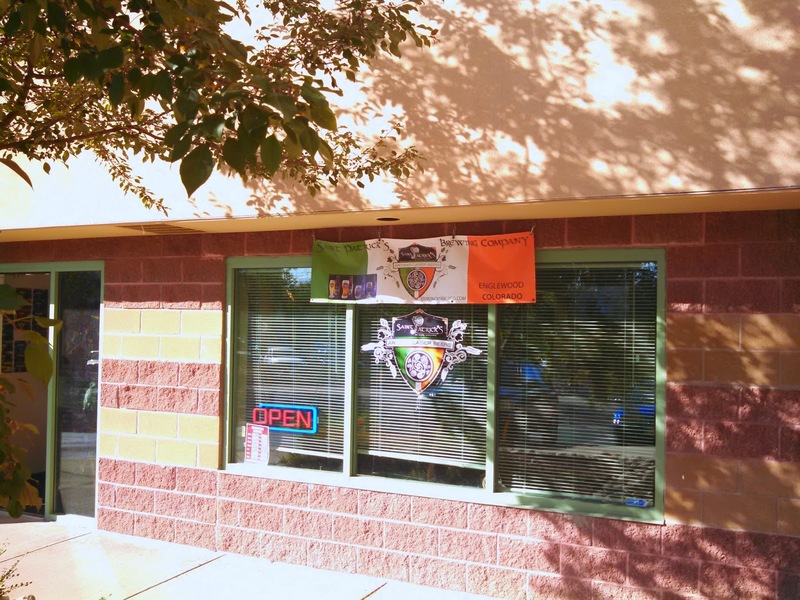 So, when you get a chance, stop by and visit Saint Patrick's Brewing Company. They actually are moving a little later this summer into a bigger space with a bigger brew system. They won't be as tiny, and so I am looking forward to seeing if they are going to still be able to brew as many unique beers. I trust the beers will still continue to be awesome. 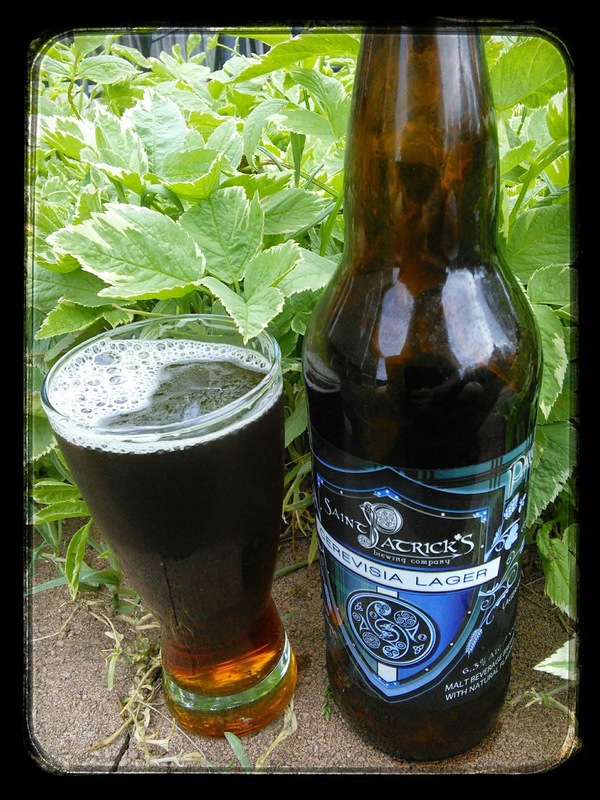 Since first publishing this post, I talked to Chris, St. Patrick's brewer. I said that "most" of their beers are lagers. Chris told me that every single one of their beers are lagers. Wha .... What? Mind blown, right? "How can a Saison be a lager? ", you might ask. I did. For the record, Chris's Saisons do taste like Saisons. He also let me taste a " hefeweizen lager" which did indeed have classic hefe flavors. So, here is what Chris told me. He uses a blend of yeasts. For his Saison lagers, he uses a Saison yeast blended with a classic Lager yeast. For that hefe Lager, he blended a classic hefe yeast with a lager yeast. I should have asked him what Lager yeast he uses, but I didn't think of it. My mind was still "blown", you know. He ferments at Lager temperatures. Wha .... What? Mind blown, right? "Saison (and hefe) yeasts ferment at Lager temperatures? ", you might ask. I did. Well, apparently they do. Or at least they ferment enough that their classic flavor come through into the beer. With that lager yeast to handle the attenuation, the ale yeast doesn't really have to do a whole lot. Chris does say that he makes really big starters for these batches. Anyway, I just thought I should correct myself on that. Honestly, I am even more impressed with this brewery now with this additional information. If you aren't, you probably are not a real beer geek.